John Cogan and Scott Atlas of the Hoover Institute have researched the benefits of health savings accounts when coupled with high-deductible insurance. In their quest for a better understanding of the system, Cogan and Atlas define insurance and tax-free, medical savings accounts (HSAs). Well-designed, high-deductible insurance in which individuals pay a few thousand dollars for most health-care services before their plan covers outstanding claims restores the fundamental purpose of health insurance, which is to reduce the financial risk of large and unanticipated medical expenses. Health-savings accounts, or HSAs, allow individuals to set aside tax-free money for out-of-pocket expenses, including routine care. Owned by individuals, these types of accounts are not dependent on places of employment and will transfer between different employment locations. The high-deductible insurance policy covers catastrophic illnesses and injuries. 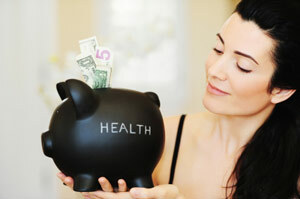 Studies prove HSAs and high-deductible insurance policies reduce healthcare spending by at least 15 percent annually. That all Men are born equally free and independent, and have certain inherent natural Right…; among which are the Enjoyment of Life and Liberty, with the Means of acquiring and possessing Property, and pursuing and obtaining Happiness and Safety. … the maximum allowable annual contribution should be raised from $3,350 to at least equal an individual’s maximum annual IRA contribution ($5,500 if you are under age 50, $6,500 if you are age 50 or older). The health-care services and products that can be purchased with HSAs should be expanded to include scientifically therapeutic over-the-counter medications. Money remaining in HSA accounts should be allowed to roll over to surviving family members. The current ban on HSA participation by seniors on Medicare should be abolished. States should be encouraged to experiment with plans that allow Medicaid enrollees to opt for HSA contributions, like Michigan and Indiana have done, and high-deductible coverage. For the next year, every American **should **demand expanded HSAs. At every opportunity with every politician, demand HSAs. That is how We the People will make it happen.